Keep your coochy area feeling fresh and delightfully dry. 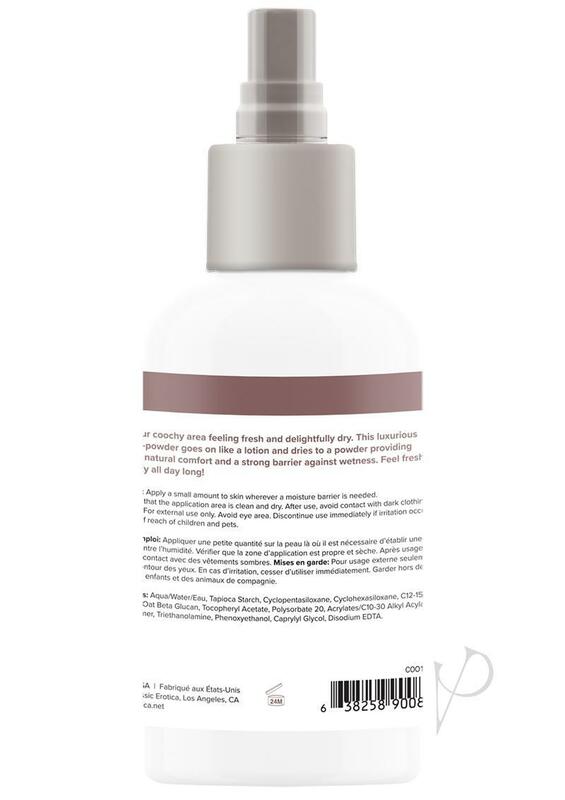 This luxurious lotion-to-powder goes on like a lotion and dries to a powder providing talc-free natural comfort and a strong barrier against wetness. Feel fresh and frisky all day long!